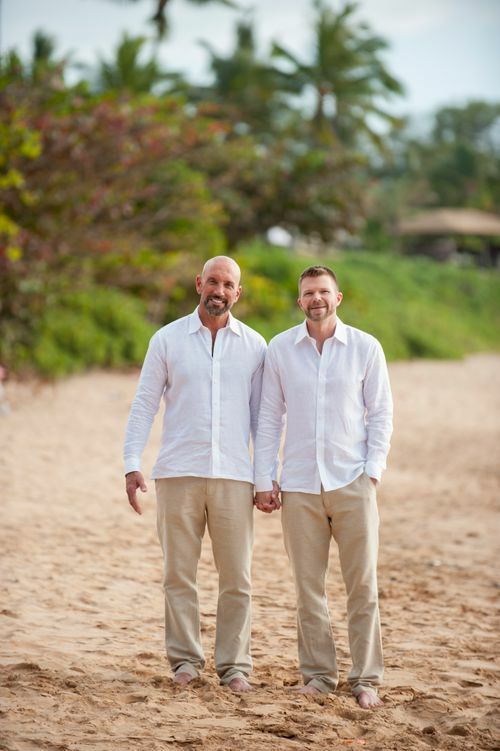 We are gay friendly wedding planners on Maui and we offer the same LGBTQ wedding packages that we offer our straight clients except for a couple of minor floral adjustments. 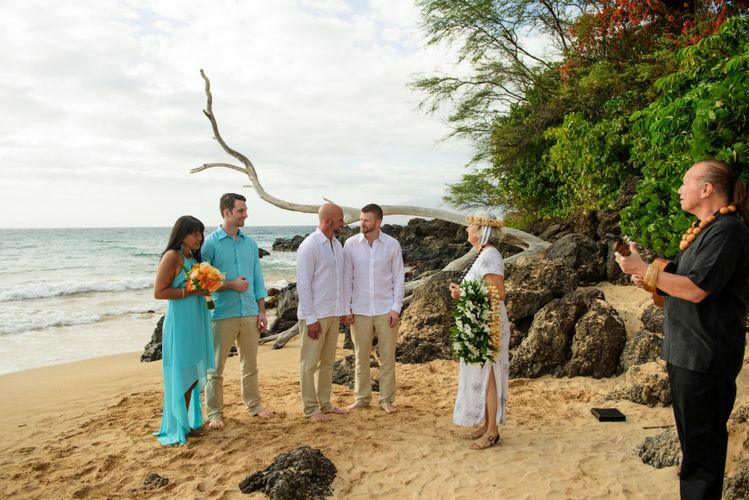 Maui is the best destination in the world for weddings, elopements or vow ceremonies. 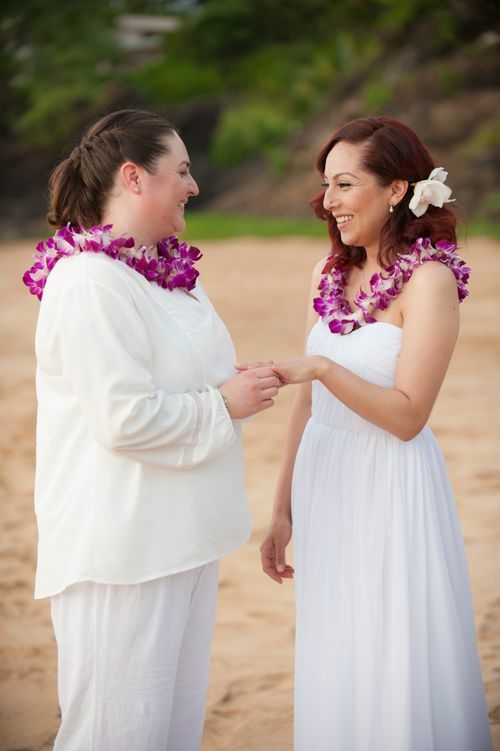 We have been privileged to have planned hundreds of LGBTQ weddings and civil unions since Hawaii recognized LGBTQ civil rights in 2013. Up to 1 hour of coverage including the ceremony, signing, family portraits, couples session, sunset session (depending on ceremony time and weather). 40 High Res, photographer chosen professionally retouched digital Images. 300 - 500 un-retouched digital files from the shoot (outtakes). 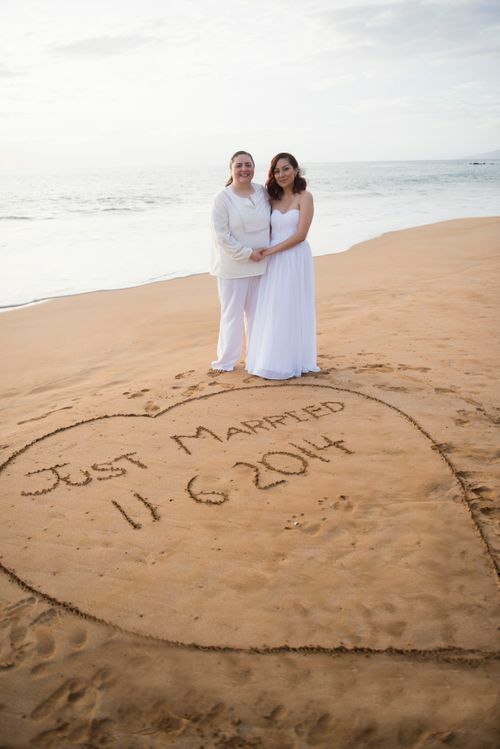 Online Gallery where you can share the retouched files with friends and family. 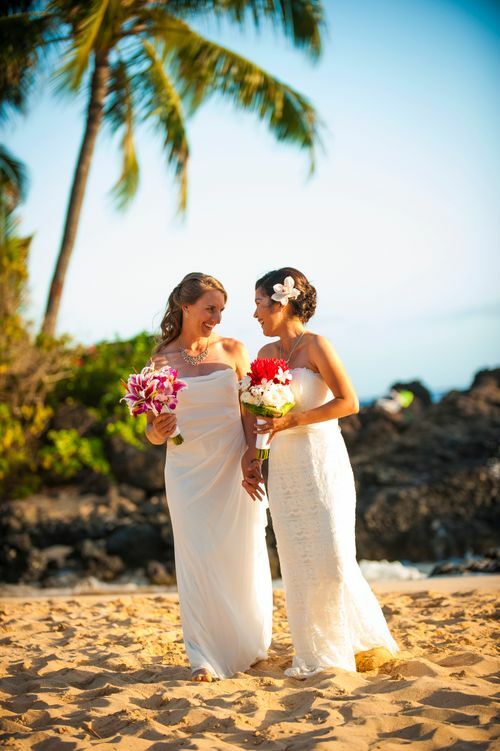 Two Fresh Flower Leis to be Exchanged During Ceremony. Dendrobium Orchid. Upgrades Available. 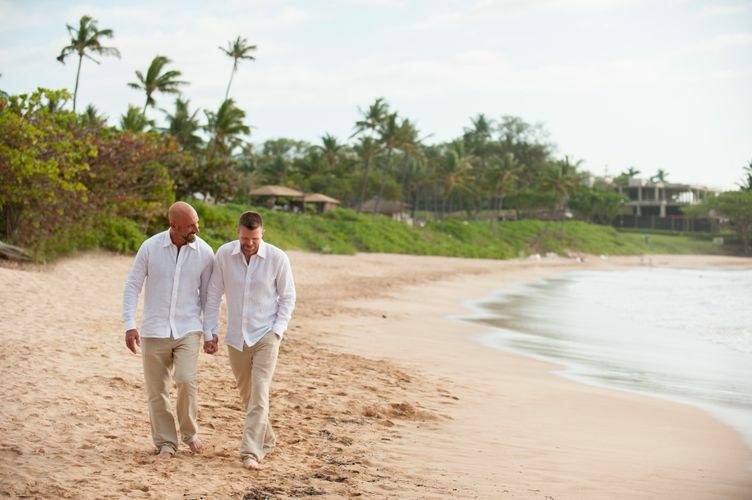 Free initial consultation with local Maui travel professional and activity agent. Up to 1 hour of coverage. Includes ceremony, signing, family portraits, couples photo session, sunset session (depending on weather and wedding time). 25 photographer chosen High Res, professionally retouched digital Images. 200 - 400 un-retouched digital files from the shoot (outtakes). 20 fully retouched High res photographer chosen digital images.